Cuts to gritting, buses and children’s centres could be reduced after county council leaders have suggested an extra £7.8 million could be put towards them over the next two years. Central Government has reportedly given Lincolnshire County Council the additional funding consisting of £5.2 million for the next financial year and £2.6 million for the year after. The original budget proposals, which are being put forward at the meeting, included suggestions gritting could be reduced to cover only 25 per cent of the county’s network rather than the original 33 per cent, while £2.2 million savings were planned through the ending of subsidised bus routes in rural areas. Proposals also included the closure of 15 children’s centres. Mr Jones attributed the final financial settlement, which includes the ‘one-off’ additional funding, to lobbying by the council and county MPs. 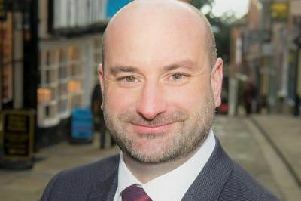 He added: “That’s why we are proposing this motion at Full Council recognising that whilst the majority of the proposed savings would still go ahead, it is right that we use the additional funding, to reduce some of the service cuts we have to make, in areas the public have told us they really value. The full motion will be debated on Friday before a final decision on the council’s budget is taken.